This guide provides access to databases and electronic and print resources for researching the Japanese Literature, Language and Culture primarily in English. Use the tabs to navigate through the pages of this guide or click on the links below. Film Studies - a selection of materials available in the Media Materials & Reserves room in theTerrell Library. 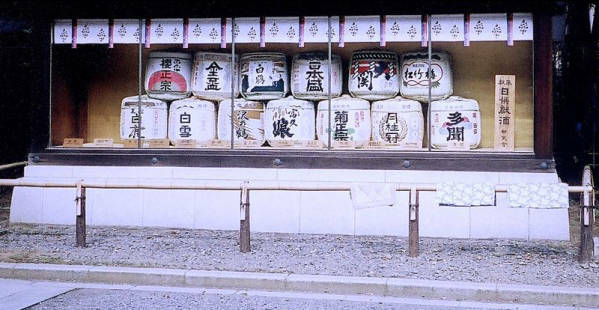 Photo credit: Hilary Elmendorf, Barrels of Sake, Yasukini-jinja shrine, 2003. WSU Manuscripts, Archives and Special Collections..